Believe it or not today marks the three year anniversary of when Fox Sports 1 came into our lives. 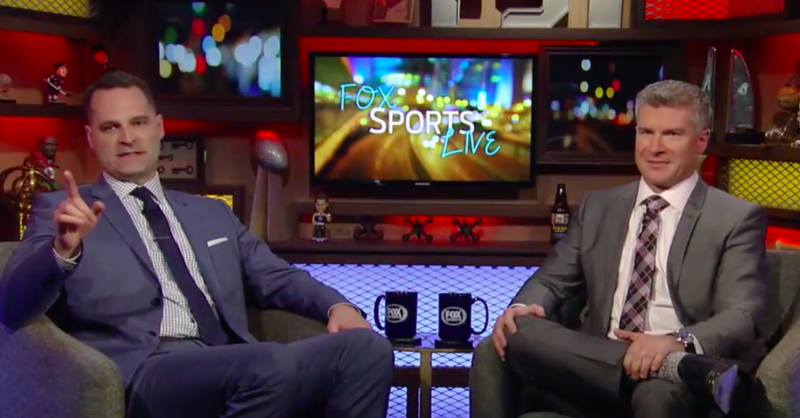 Over those three years, Fox Sports 1 morphed into FS1 and the network has been all over the place when it comes to the vision and mission of the network. You can see it in our coverage as well. Year 1 was a bold start, but struggled to meet Fox’s lofty rhetoric and expectations in challenging ESPN out of the gate. Year 2 saw the network mature and continue to develop new stars. Year 3 has brought Colin Cowherd, Jason Whitlock, and Skip Bayless. Over that timespan, FS1’s flagship program, Fox Sports Live, has been through multiple incarnations. The network that started as an “ESPN alternative” now focuses most of its daily lineup on former ESPN personalities. And through it all, FS1 has aired significant sporting events like MLB Playoff action, NASCAR racing, UFC fight cards, a Women’s World Cup, and golf’s US Open. Looking at the big picture, how would we grade FS1’s first three years? And perhaps more importantly, what direction is the network trending? We asked a few of our veteran staffers to grade FS1 on its third anniversary on a scale of 1-10 (with 1 being an abject failure and 10 being an absolute metaphysical success) and tell us whether that grade is on its way up or down. Joe Lucia: I’ll give FS1’s first three years (is it really three years already? Yikes.) a five, trending down. Over the last year or so, it seems like FS1 really started to lose its way. After tuning in on occasion for studio shows and other, non-live programming, I only watch for live games anymore – and even that has scaled back recently as the schedule of live games has been less than ideal. As for why I say the grade is trending down – FS1 is seemingly firming up its direction, and it’s not a direction that appeals to me. I understand that some people like to embrace debate and that style of sports talk appeals to them, but it’s not up my alley at all. For all the talk about being the “ESPN alternative” they’ve followed in ESPN’s path by hiring Colin Cowherd and Skip Bayless, and I’ve been there, heard that, and done all of that before. Ken Fang: The idea in theory behind FS1 to give ESPN some competition was excellent. The Worldwide Leader desperately needs competition and we saw how ESPN responded by hiring back Keith Olbermann and making a couple of other moves. But when FS1’s ratings for shows like Crowd Goes Wild and the original Fox Sports Live didn’t live up to Fox’s expectations, you could see the disappointment. And as we see three years later, the original playbook has been thrown out and the digs Fox made out embracing debate are now being forgotten through the hiring of former ESPN producer Jamie Horowitz. Speak for Yourself? The upcoming Skip Bayless/Shannon Sharpe show? They follow a familiar formula. Overall, I give Fox a 9 for the idea, but a 3 for the execution. It’s all about getting live sports to give ESPN some competition and right now, FS1 just doesn’t have the inventory to give this a real go. Perhaps when sports rights come up again early next decade, Fox could get more live sports. Obtaining the Big Ten helps, but it needs more. The next six years will be quite important for FS1 and hopefully it can find its niche to really compete with ESPN. They get a really high grade in terms of adding live rights. The Big Ten is going to be huge for them. So on that front, maybe a 7. They’ve also gotten a bit better at live event coverage but they still are second rate compared to ESPN in terms of production. I know those guys are proud of their work and the incremental improvement but would you say FS1 is anywhere near ESPN in terms of quality of broadcast for golf, soccer, college football, or college basketball? Not even close. So maybe a 5 there. What bugs me the most about FS1 is there isn’t much to hang their hat on. We were promised fun. What was fun of the pre-Horowitz era? What actually stuck around? Not Crowd Goes Wild, nor athlete yapfest panels, The Big Board, or FS Live as a SportsCenter competitor. I was down for some fun. I see programs and sports all over the dial and web and say to myself”This is fun! Why didn’t FS1 want this?” Maybe because fun was some bankrupt marketing buzzword and not an actual strategy. I find myself liking FS1 personalities but their shows not being must watch programs. They don’t feel optimally packaged (Nolan, Jay & Dan). I actually think the Horowitz Embrace Debate strategy was a good move only because the first two years were totally aimless. I know Viceland isn’t a sports channel, nor is rated by Nielsen, but I look at them throwing up the curtain on Day 1 with a cohesive and defined channel and brand opposed to FS1 and think it’s the difference between a 10 and a 1 in that regard. I’m sure my colleagues will gripe about the usual suspects. I will say FS1 went into this saying ESPN was stodgy and boring and then they basically took the most disliked personalities from ESPN. It’s like ESPN was a bar that started having too many bikers that the majority of people didn’t like their presence. FS1 then said “We’ll be a biker friendly bar!” While that might move the needle because they never really got off the ground, ultimately the vast majority of fans who are bar patrons drive by without a thought of going in. And they’re probably glad the crowd is gone from their normal watering hole. Ultimately part of my question is the culture at Fox. We’re seeing a lot of things come about at Fox News, and while Fox Sports certainly doesn’t have that type of reputation, you do hear it’s a culture that is high on bravado and confidence. While that’s great, I think when it comes to taking on ESPN and rewiring the viewing habits of millions sports fans, that culture has taken them farther off course than they really should be. Matt Yoder: To answer this question, let’s break it down in this way – by going back to what Fox Sports President Eric Shanks had to say about the network when Fox Sports 1 was first publicly announced. Maybe this grade is being too kind given some notable hiccups with FS1’s major championship golf coverage in particular. Nevertheless, most of this grade goes to the great job the Fox Sports team did covering the Women’s World Cup in 2015, which is the biggest event the network has covered thus far. When looking at some of the broadcast talent in the booth and studio that FS1 has added for live sports coverage as well, the network is in a pretty strong position for their game broadcasts. 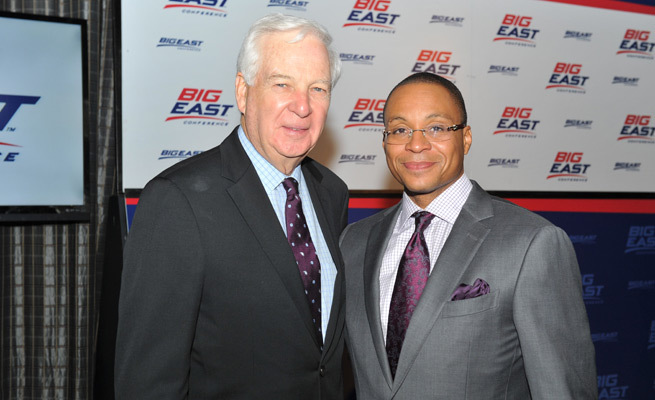 You can never go wrong with pairing Gus Johnson and Bill Raftery for college basketball games. After a while of trying to offer news and reporting through vehicles like Fox Sports Live and America’s Pregame, FS1 gave up on being any sort of a legitimate news option for sports fans by slashing their television news operation in 2015. More job cuts in the news department followed this year. The biggest development in recent months was FS1 parting ways with their best newsbreaker outside Jay Glazer – UFC reporter Ariel Helwani. (And that turned into an even bigger debacle.) Sadly, FS1 is a complete non-factor when it comes to sports news and the biggest stories in sports. Most of this grade goes to the work done by FS1’s new stars like Katie Nolan, Jay Onrait, and Dan O’Toole. But even then it would have been nice to see some shows like Crowd Goes Wild, America’s Pregame and others get a lengthy run to build audiences instead of being deemed so easily expendable. FS1 has two of the most talented highlight guys in North America in Jay Onrait and Dan O’Toole and the network took away all the highlights. There’s been so much turnover here that it’s been impossible for any show outside maybe NASCAR Race Hub to find a consistent audience. And now the network is being taken over by Embrace Debate 2.0 with hours of programming dedicated to Whitlock, Cowherd, and Bayless. FS1 is paying Skip Bayless millions to do a debate show at the same exact time that First Take is on. That’s about as far away from “original programming” as you can get. Ha! See above with Bayless, Skip and Cowherd, Colin. FS1 isn’t an alternative to the establishment, it’s the recyclables of the establishment. Average those out, and Fox gets a grade of 3.5/10 from me on its third anniversary. And unfortunately, I can’t see it getting much better from here, at least through 2017. That’s a bummer because I was really optimistic and feeling good about FS1 this time last year. Like Joe though, I can’t remember the last time I turned on FS1 when it wasn’t to watch a game. FS1’s goal was to try to rewire sports fans to go to them instead of the default position of just turning it on ESPN. If anything, FS1’s recent moves has made me watch even more of ESPN than ever before. Now that we’ve had our say, it’s time to hear from you. What grade does FS1 deserve after its first three years?